Fred. Olsen Cruise Lines is offering guests up to £200 per person free onboard spending credit on its two 2018 'Mystery Cruise Adventures', on all new bookings made by 2nd July 2018 inclusive. “Our ‘Mystery Cruise Adventures’ are always a fantastic experience for our guests, combining the beauty of cruise travel with the added anticipation of surprise, as they venture into the unknown. “What will make these ‘Mystery Cruises’ even more exciting this year is that our guests can enjoy upgraded and enhanced facilities on board both Black Watch and Balmoral, and there is sure to be something to delight everyone. “We continue to invest in our fleet to ensure that there is no comparison to discovering the world on board a Fred. Olsen ship." - Black Watch's nine-night W1822 sailing, ex Liverpool on 18th October 2018. Prices start from £1,149 per person. - Balmoral's 12-night L1835 sailing, ex Southampton on 12th November 2018. Prices start from £1,299 per person. Guests embarking on one of Fred. 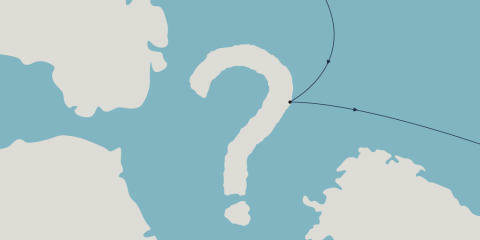 Olsen's renowned ‘Mystery Cruises’ will also be able to enjoy a revitalised fleet, as part of the package. The entire Fred. Olsen ocean fleet has undergone an extensive multi-million-Pound refit since the end of 2016, offering a number of new restaurants, refurbished lounges and enhanced facilities. From Black Watch’s upgraded 3D cinema to the new 'Poolside' and 'The Grill' speciality restaurants on Balmoral, Fred. Olsen guests can be sure that they will be travelling in style and comfort, as they set sail on their mysterious adventure! And what will make the experience even more unforgettable is that the next destination will not be revealed until the evening before guests arrive! Guests wishing to take advantage of Fred. Olsen's free onboard spending credit offer on its two 'Mystery Cruise Adventures' in 2018 should quote ‘MYSTERY’ at the time of booking. All prices shown are based on two adults sharing a twin-bedded Interior Room, and include accommodation, all meals and entertainment on board, plus port taxes.